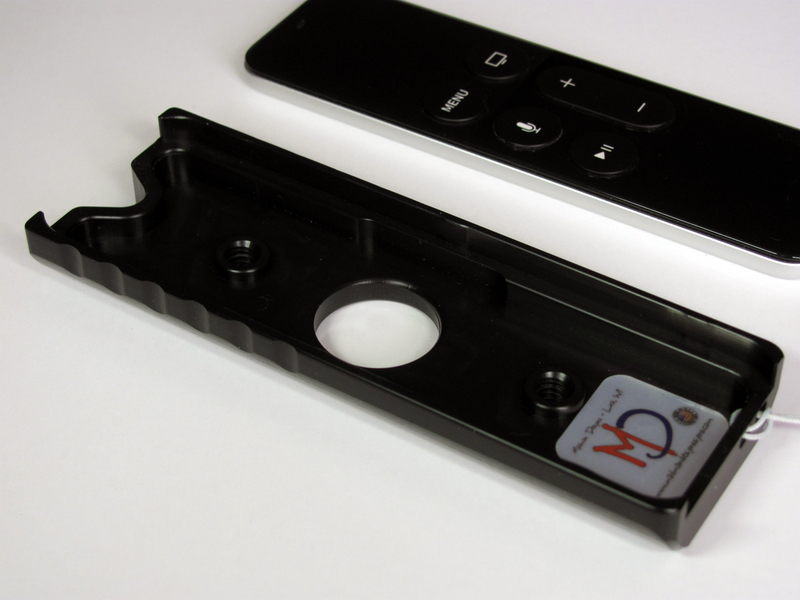 Keep track of your Apple TV Remote (4th Gen) with this custom designed case! 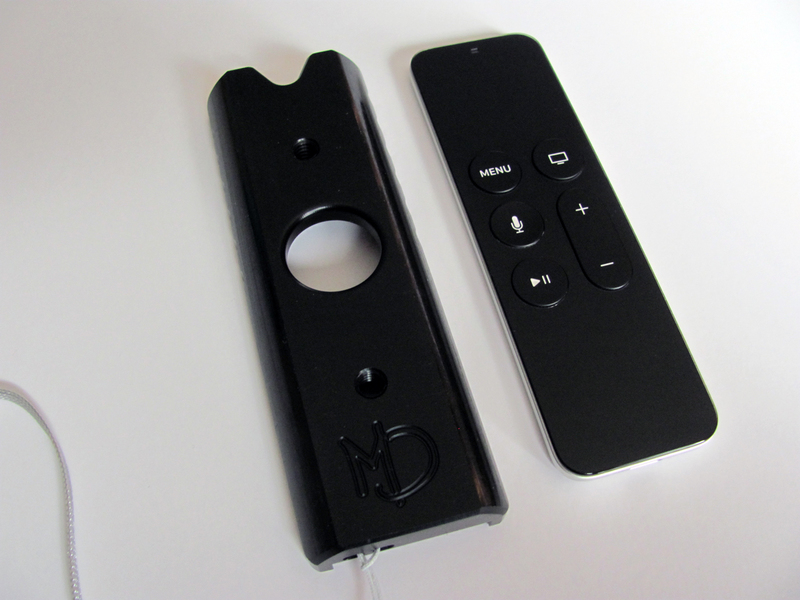 About the Remote itself… The 4th generation Apple TV Siri remote is a marvelous work of art. It is a glass and aluminum wonder, just as you would expect from the masterminds in Cupertino. However, once you start using it, quite a few glaring issues show up. 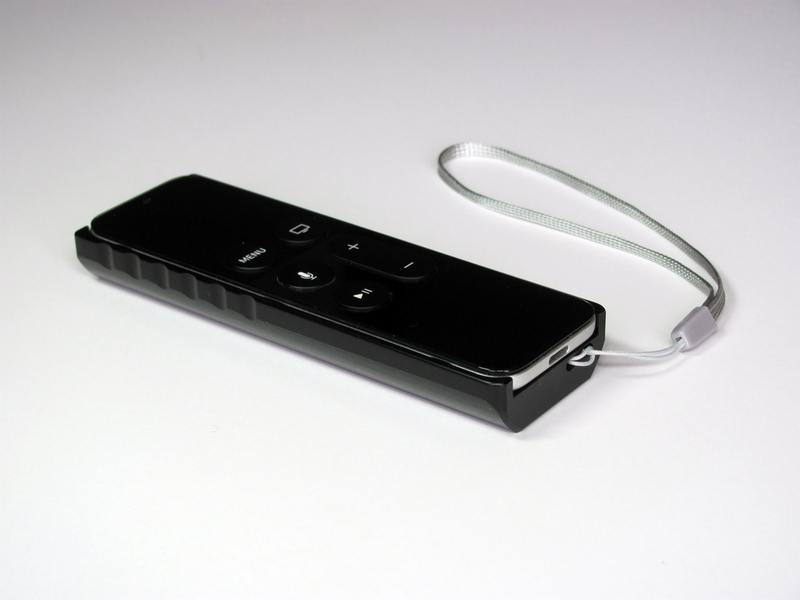 The remote is remarkably difficult to hold while using the touchpad or using it as a game controller. The profile is perfectly smooth and symmetrical, and the buttons are in the middle of the remote, so when you pick it up, you have a 50/50 chance that it’s facing the wrong direction. It’s so smooth and slippery that it’s easy to drop, and the glass top surface has no protective barrier around it. Note: Remote is not included. Extensively tested and reworked to be the absolute best it could be. Tested and evaluated by real users in real world situations. Rounded shape falls perfectly into your palm. Directional side ridges give the perfect grip. Much easier to pick up from a flat surface. Hard plastic construction is more comfortable than softer silicone cases. Ridges along each side of the touchpad. 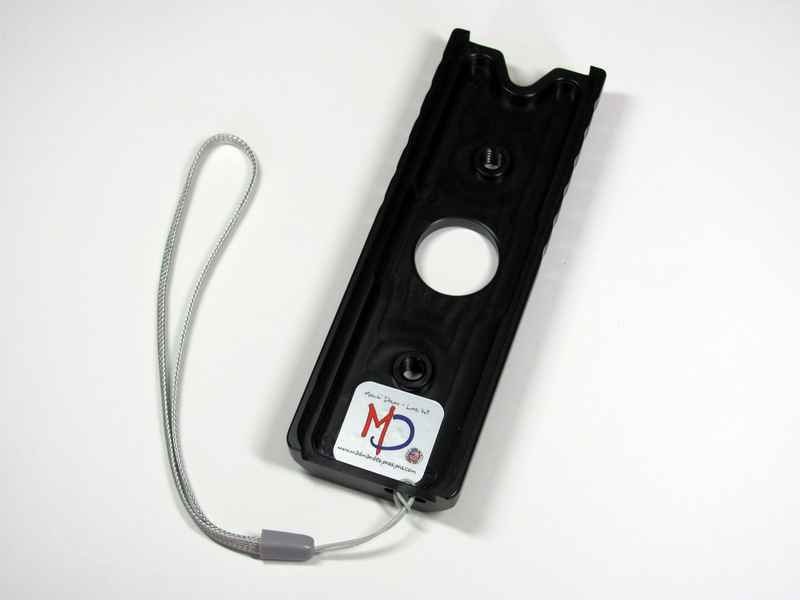 Wrist lanyard attachment on the bottom. Unique end profiles distinguish front from back. Open design does not detract from the beauty of the remote. No part of the case interferes with any function. IR and lightning port, as well as Siri microphones remain accessible. Extremely easy to install – 2 second installation. Corners are protected from impact in case of a fall. Aluminum surfaces are protected from scratches. Remarkably secure considering ease of installation. 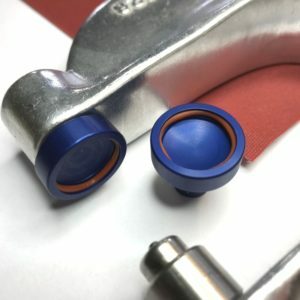 Bluetooth tracking, (if user equipped). Each case has a pocket that holds the latest Tile “Mate” (2018) Bluetooth tracker. Remote can be used to locate a lost phone. Tile button accessible through hole in bottom of case. Tile not included – must be purchased and added by user. 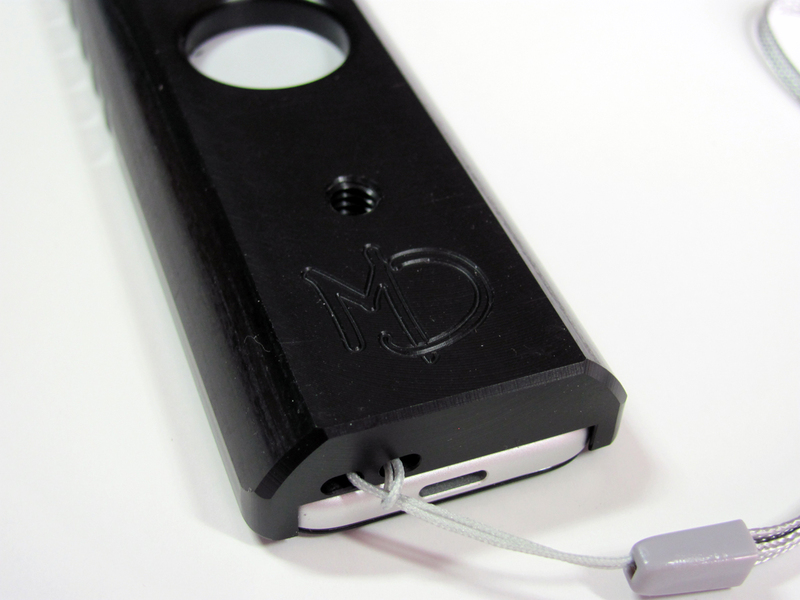 The pocket can also be used to hold a Flic smart button. 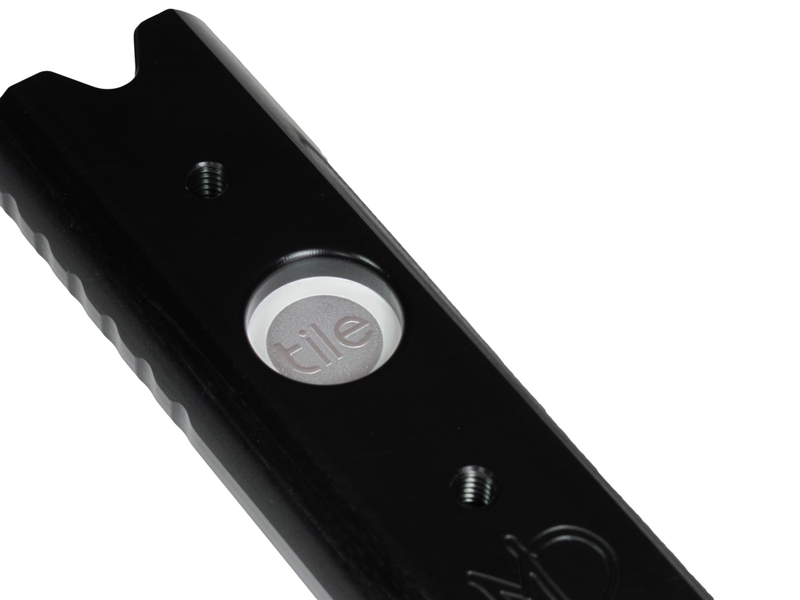 Flic button not included – must be purchased and added by user. 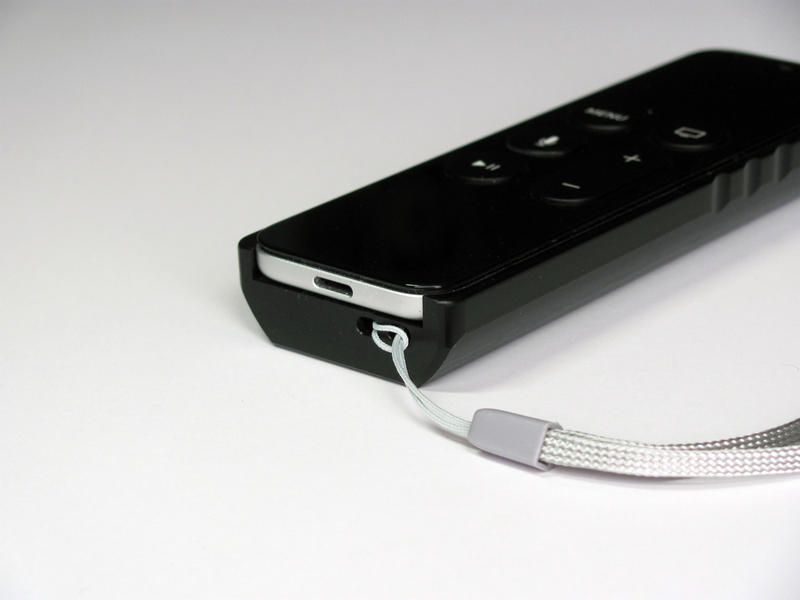 I can’t tell you enough how impressed I am with your Apple TV 4 remote case design. 1) The case firmly holds and secures the remote with no movement whatsoever, yet is surprisingly easy to snap in. 2) The case’s depth perfectly fits and fills into the hand for holding, eliminating the uncomfortable empty space grasp of the remote itself. 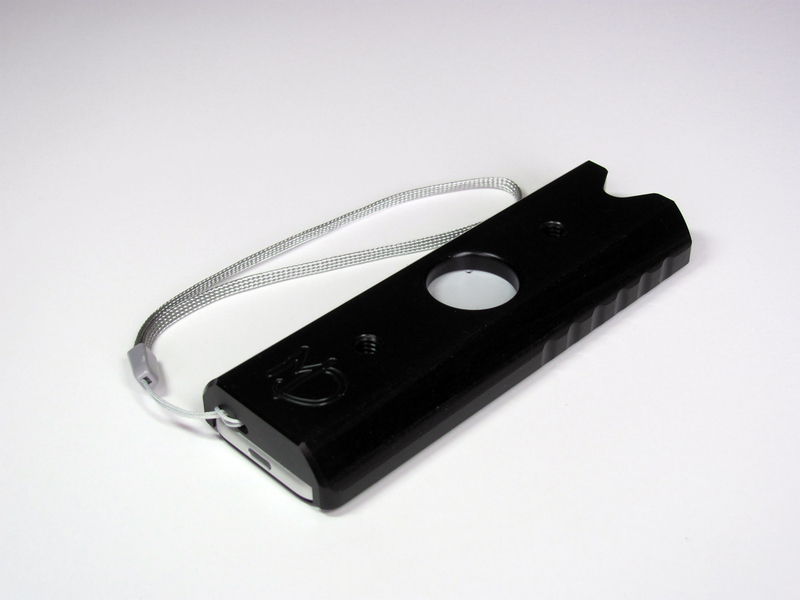 3) The case is very solid and the slightly added weight gives a confident balance that eliminates the frequent fumbling of the lightweight remote. 4) The case’s finish is nicely smooth yet not slippery. 5) The case’s ribbed upper side sections allow good grasp by the thumb and forefinger, while acting as instant direction indicators. 6) Lightning charge connector has easy access with no obstruction. 7) The case provides an overall impression of high quality in fit, feel, and finish. 8) I did not use the lanyard, although it looks like a good fit in practicality and appearance. I wouldn’t hesitate to buy this excellent case. 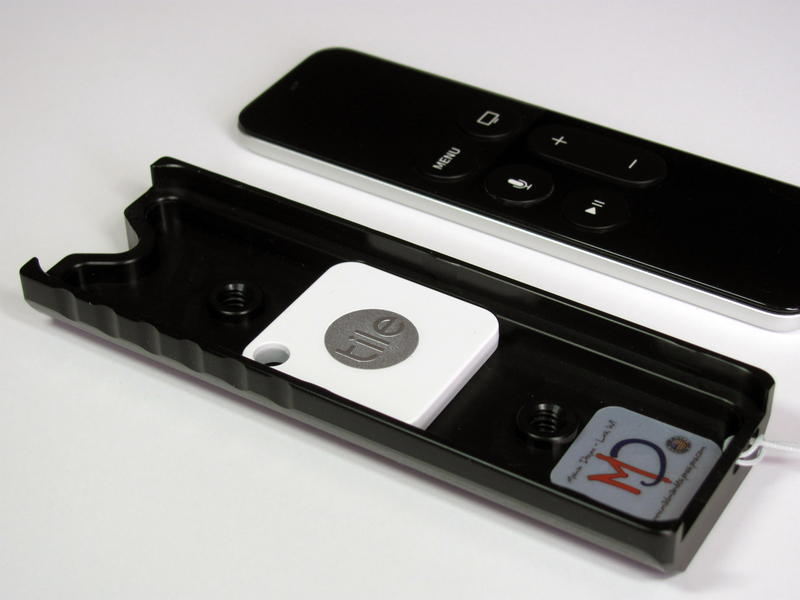 After testing your prototype, I’d seek it out for future Apple TV 4 purchases. I’m honored by your interest in my input and sending the case for testing. I honestly think it’ll be very successful compared to the current competition. Best wishes on the project. I received the case on Thursday and replaced the silicon one that I was using. The remote snaps onto the case easily but it does feel that it is in there securely. The case definitely adds some “heft” to the overall feel but I think this is a good thing especially for those of us with medium to large hands. The remote no longer feels fragile. Although I haven’t dropped mine onto any hard surfaces I would feel much more assured that it is better protected than with the silicon case that I had been using. I especially like the “indentations” on the side of the case. There is no need to actually look at the remote to see the orientation of it. Previously I had often picked up the remote only to find out I was holding it upside down. Please keep in mind that I have only used it for a limited time, but I will certainly provide you with more feed back as I use it more. 5.0 out of 5 stars So Far…I like it. 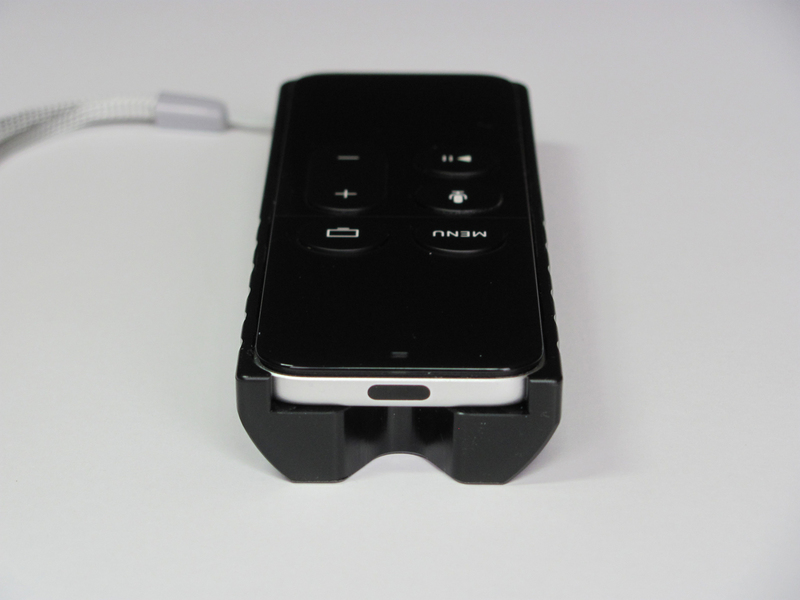 So far I am liking the Apple TV 4 remote case. It adds some size the remote that makes it grasp easier and does not interfere with the jump forward/reverse 10 sec aspect like most rubber cases. The only improvement I can see would be to add a tackier feel to the bottom of the case. This case being a smooth composite, it still tends to slide around and off things. This is a nice plus of the silicone/rubber cases. 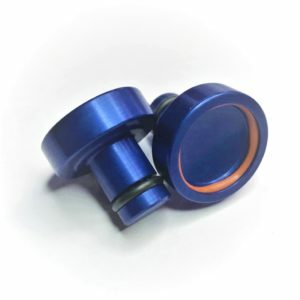 Great design and great product! I recently bought a Tile to help find my Apple TV remote, which my family looses repeatedly. The tile alone was awkward looking and kept getting knocked off, so I had to convince my husband to try this holder. We are very happy with it! It makes the remote feel more comfortable when you hold it and it hides the tile remote nicely. I am very happy with the purchase!! Worth every penny to help find the remote and looks great! My wife thought I was crazy for buying this case, but she changed her mind. Our Apple remote doesn’t lost as much and you can quickly tell which end is up. Best $20 investment for us.